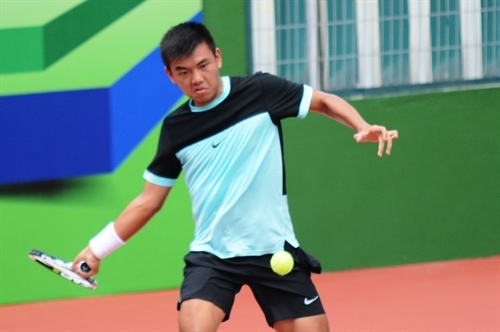 HÀ NỘI — Vietnamese pair Lý Hoàng Nam and Nguyễn Hoàng Thiên were eliminated from the Việt Nam F2 Men’s Futures tournament in the southern province of Bình Dương yesterday. The pair lost to Japanese duo Imai Shintaro and Onozawa Arata 2-6, 6-4, 7-6 in the men’s doubles semi-final. The match was delayed about five hours because of heavy rain.